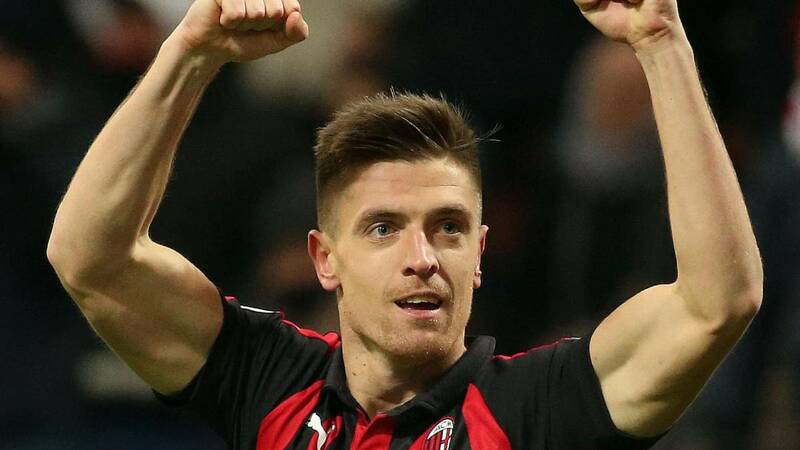 Krzysztof Piatek already won San Siro and his first, great ovation: thanks to a doblete of his new signing, Milan eliminated Napoli with a deserved 2-0, qualifying to the semifinals of the Italian Cup, the only phase of the competition with round trips. Ancelotti, without the injured Albiol and with Callejón on the bench, looked for a confrontation different from Saturday (which ended 0-0), with a midfield (Fabián, Allan, Diawara, Zielinski), much more cautious. Gattuso, meanwhile, seemed to qualify, as all the 'milanismo' (the Meazza was half empty) the Italian Cup more a hindrance than a goal: his eleven, however, showed the opposite. El technician Rossoner left out Suso and Calhanoglu, betting on Castillejo and Piatek, in his debut as a starter with the new shirt. The Pole did not waste the occasion, and proved once again because half of Europe (including Real Madrid) probed him in recent weeks: taking advantage of two gifts from the southern back (Maksimovic noted, and much, the absence of Albiol), the tip scored two goals in 45 minutes. The first was made thanks to a long pass from Laxalt that put him, with the complicity of his rivals, only against Meret; the second he did facing a giant like Koulibaly and dazzling all San Siro with a powerful right. With these, he reached 21 goals in 23 official matches played in this course, his first in Italy. The 35 million disbursed Rossoneri, also considering his age (just 23 years) have become a bargain: the farewell of Higuain is already a distant memory. El azzurro team, which this year considered the Cup a vital goal, never He knew how to react to the blow: Insigne tried without aim or aim, to Milik as soon as balls arrived and neither Mertens, Ounas and Callejón, who entered the resumption, changed the course of the crash. Ancelotti's Naples, whose elimination in the group of the death of the Champions was accepted with pride, lived this way his first, great disappointment: now he has the 'wild card' of the Europa League. Milan, who in the second half only had to defend themselves with an order to seal their pass to the semifinals (waiting for the winner of Lazio-Inter), celebrated an unexpected triumph and, above all, their new star. The Piatek era has begun.